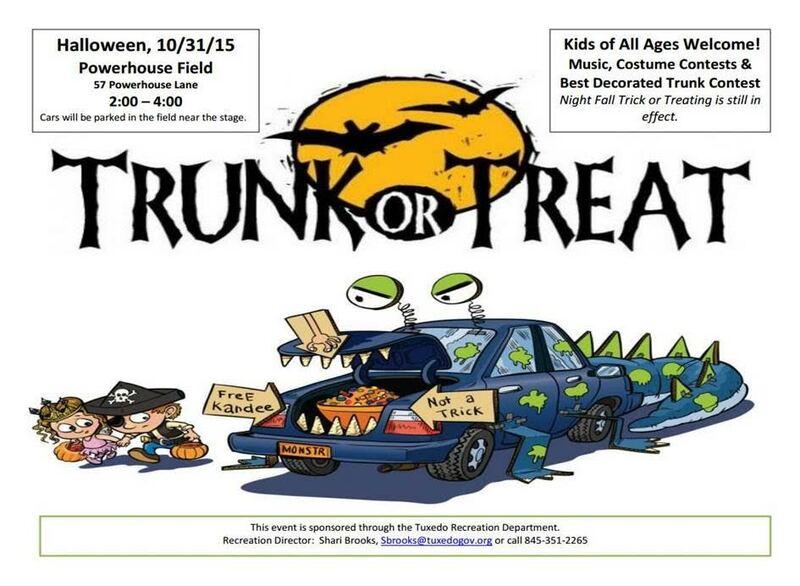 The Town Recreation Department is holding a Trunk or Treat on Halloween! Saturday, October 31st, from 2:00 PM to 4:00 PM. The event will be at Powerhouse Park. Kids of all ages are welcome - includes music, costume contests, and best decorated trunk contest!